Every book that I have read by Jody Hedlund has been placed on my favorites shelf, Rebellious Heart will now be joining the rest of them. Rebellious Heart brought me back in time to 1763, the brink of the Revolutionary War. There are whispers in the wind of unfair taxation, underground organizations of smuggling over taxed items, but to some, it a fluke, their king would not treat his people across the ocean so unfairly. They were all one. 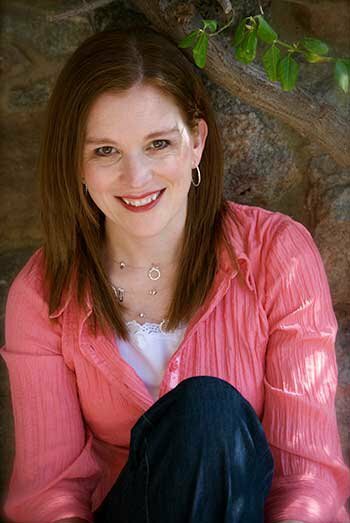 Susanna Smith is one of these people who couldn't believe that their king could be unjust. Susanna had been raised to respect and follow authority, so by her thinking, the king is only taxing what is truly needed. When Benjamin Ross comes back to town, after returning from law school and represent the town's hermit for a brutal murder in the area, Susanna is placed in Ben's path many times. In their encounters, she learns that Ben's leanings are not of her own thoughts and fears that his treasonous thoughts could be harmful for her, however when Dotty, a runaway indentured servant finds Susanna at her home, Susanna starts to think about things that Ben has spoken about in regards to freedom. Jody Hedlund has yet again taken historical fact and has weaved with fiction to bring such a compelling story that is hard to put down. It is fantastic to read Ben and Susanna's story and find the true historical details of the couple that this is loosely based around. The characters jump off of the pages. The passion that Ben carries with him, impassioned me and it was easy to root for him and his endeavors through the book. As Susanna pressed on with her learning's and understanding, I wanted to cheer for her and urge her to keep going. And with the villain of the book, Jody Hedlund can create fantastic monster. It kept me guessing who it really was and had me rooting for justice in the end. 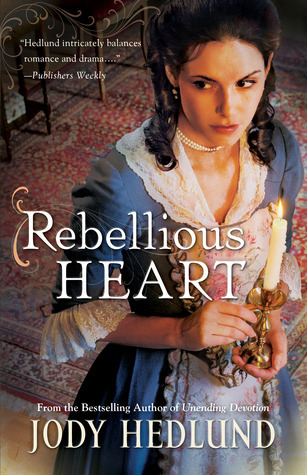 You can purchase Rebellious Heart at Amazon, ChristianBook, Mardel, and Barnes & Noble. Hi Jamie! This was a fantastic story!! I'm looking forward to her next one as well! Jody Hedlund is one of my favorite authors now.